Bulk Sign Supply Company Features Wholesale Pricing! This Sign Supply is Perfect for Outdoor Advertising! Sign Making Company Sells Wholesale Equipment to Business and Industry! Buy this affordable sign supply online now and start an advertising campaign that can be seen from a distance! This sign supply is a giant pole that features a flag arm designed to keep the displayed banner visible even on days with light or no wind. The flag arm of this sign supply is attached at the top of the telescoping flagpole and extends horizontally along the top of the advertising flag. 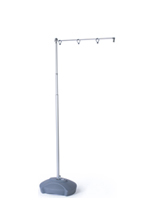 The sign supply has an aluminum telescopic flagpole that collapses down for ease of storage and transport. 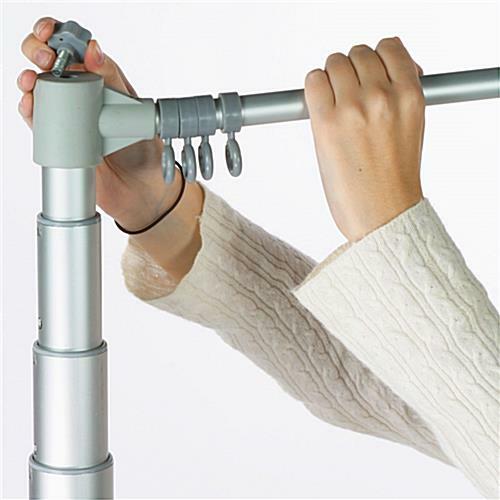 This sign supply with =telescoping flagpole is easy to set up, too. 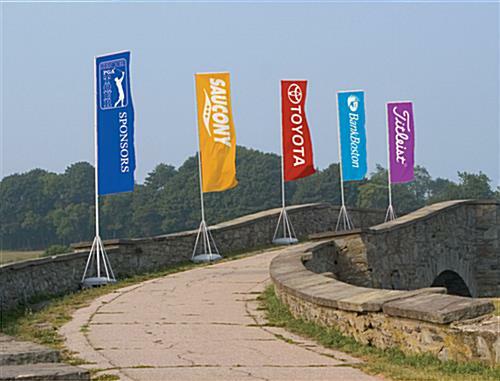 Simply attach your advertising flag at ground level and then raise the pole to its locked position. This lightweight aluminum sign supply can be raised by a single individual! The metal sign supply for sale has a four leg support that affixes to the bottom to distribute wind loads. 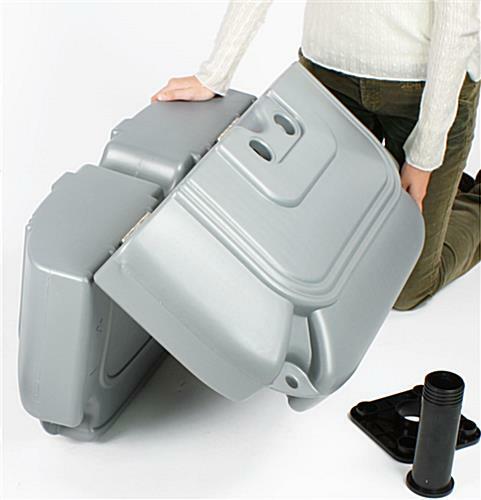 The base also folds for easy transport and storage between events. This sign supply, also known as a GiantPole sign system, is perfect for both indoor and outdoor use. This sign supply, like other outdoor banner stands and displays can be filled with sand or water to increase stability in winds up to 31 mph. This sign supply, GiantPole event system, includes the flag stand and two handy carry cases that make it easy to travel with this remarkable unit. 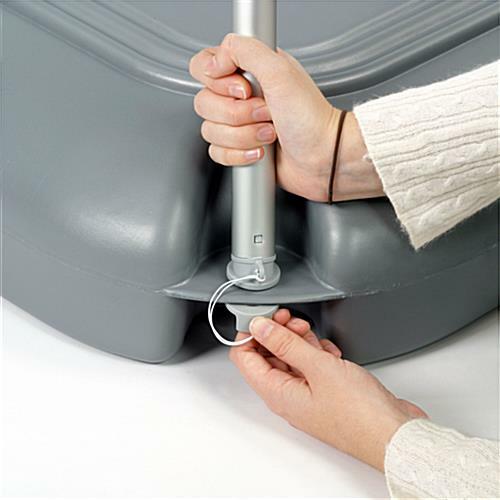 The telescoping pole, legs, and flag attachment fit nicely in one bag and the base easily folds to fit in the second bag. Buy this metal sign supply online for your next fair or outdoor event! This sign supply also features a hanging weight that is attached to the bottom grommet of the flag to keep the flag extended while ensuring it will not wrap around the pole. 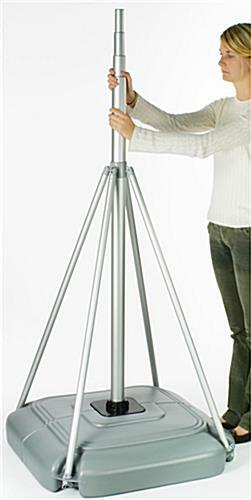 The flag arm and flag are able to rotate 360° with the wind, which increases the stability of the unit. 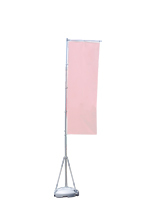 Because the flag is able to move with the direction of the wind, it is able to stay in the position of least resistance, which increases the life of the flag while making the unit ideal for blustery days. Base: 31-1/2" x 31-1/2" x 7-1/2"
Printed event flag NOT included.